It has been brought to the attention of HSSC that the important Californiana Collection housed at the Rosemead Library, part of the Los Angeles County library system, is scheduled for elimination very soon. 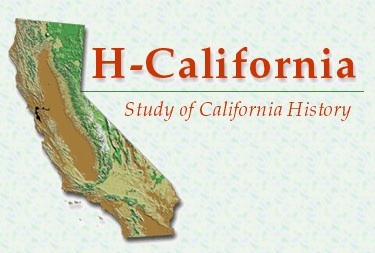 The collection is a prime resource for research in 19th and 20th century California history. Michael Engh has called it a “hidden treasure”. Opened in its own quarters within the Rosemead Library in 1988, it features such resource materials as the California Census Schedules from 1850 to 1910, files of the newspaper, Alta California, 1849-1891, The Los Angeles Star, 1851-1879, city directories for the 1800’s, Sanborn Fire Insurance Company atlases for Los Angeles and San Francisco, and strong special gatherings of materials on California water projects, famous crimes, the Donner Party, Hollywood, and pioneer narratives. A series of dedicated librarians worked for decades to draw materials from the entire county library system and to centralize them at the Rosemead facility. The threatened break up of this marvelous resource should concern every historian, teacher and, indeed, every lover of good historical research. You may wish to join HSSC in appealing to Gloria Molina and other members of the Board of Supervisors to preserve undiminished the entire Californiana Collection at the Rosemead Library. The e-mail address for Supervisor Gloria Molina is molina@bos.lacounty.gov. Arts – Nonfiction Filmmakers Still Tell Rich Stories – NYTimes.com. The Bay Area has long been known as a center for documentary filmmaking. Many local documentarians have won or been nominated for Academy Awards, including Sam Green (“The Weather Underground”) and Robert Epstein (“The Times of Harvey Milk”). The area is home to the Independent Television Service, a major financer of documentary films, as well as some of the most respected film schools in the country. Yousef Elhaj, the subject of “Corner Store,” at the right, in the West Bank in the Palestinian territories. But the success of local documentaries can’t be attributed to education and financing alone. The region itself seems especially tight-knit and supportive. But fundamentally, the success has to do with storytelling. Some local filmmakers, like Christian Bruno, are pushing the limits of narrative. Mr. Bruno’s jewel-like film “Strand: A Natural History of Cinema” mines the history of the region’s once-opulent movie palaces in a lyrical manner that makes it feel like an archaeological dig. He burrows through time with the aid of diverse interviews, archival footge and contemporary scenes shot on 16-millimeter film to convey the idea of cinemas as sites of social interaction and imaginative exploration. But as three compelling new homegrown documentaries show, local filmmakers are also using more traditional storytelling techniques, like character-driven narratives with a strong three-act structure, in powerful ways. The Talbot Players’ “Sound Tracks: Music Without Borders” series; Katherine Bruens’s “Corner Store”; and David Silberberg’s “Oh My God! It’s Harrod Blank!” tell engrossing tales by focusing on key characters. The tried-and-true storytelling formulas clearly work. The slow-burning “Corner Store” follows the journey of Yousef Elhaj, owner of a Mission district corner deli, as he travels from San Francisco to his native Palestinian territories to be reunited with his family, which he hasn’t seen in 10 years. The film provides a moving insight into one man’s struggle to reconcile the kinship he feels for his adopted Bay Area home with his Middle Eastern roots. “Corner Store,” which will be screened at next month’s San Francisco Independent Film Festival, trundles along languorously, with atmospheric shots of bustling Palestinian marketplaces and San Francisco streets. Despite its meandering pace, the film is engaging because of Ms. Bruens’s deep, meditative portrait of the protagonist and the straightforward narrative arc. Moving from San Francisco to the Palestinian territories and back to San Francisco, the three-part structure makes viewers feel as if they were traveling alongside Mr. Elhaj. The layout of “Sound Tracks” is equally pronounced. The documentary, which begins on Monday night on most PBS stations, comprises three distinct and fascinating narratives about the intersection of music, travel and politics. The segments provide fresh angles on relatively well-known subjects by offering miniature character studies. The first story explores the genesis of the hit Russian pop song “A Man Like Putin,” a peppy piece of musical propaganda that has grown to be something of a calling card for Prime Minister Vladimir V. Putin. The segment focuses on the song’s composer, Alexander Yelin, a rock music dissident turned promoter. The next section delves into the legacy of the Nigerian music pioneer and political activist Fela Kuti. 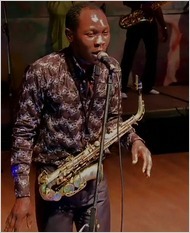 It centers on Mr. Kuti’s youngest son, Seun, who stepped forward as a teenager to lead his father’s band after Mr. Kuti’s death in 1997. The third segment follows the Kazakhstani virtuoso violinist Marat Bisengaliev as he tries to recoup the battered reputation of his country in the wake of “Borat,” Sacha Baron Cohen’s blockbuster 2006 mockumentary that didn’t do much for Kazakhstan’s global reputation. “Sound Tracks” makes a virtue of its three-part structure; the individual narratives come together cumulatively to make its resounding overall point: music is a powerful agent of community building and social change. Meanwhile, Mr. Silberberg’s engrossing documentary “Oh My God! It’s Harrod Blank!” explores the life and work of Mr. Blank, a Bay Area artist and filmmaker best known for building art cars (vehicles festooned with different objects) and documenting that scene. The film, also showing at the San Francisco Independent Film Festival, not only creates a vivid, fond portrait of the eccentric Mr. Blank (a man who seems to love chickens more than people), but also provides a profound meditation on the pros and cons of rugged individualism. Although the film moves back and forth through time, it basically unfolds in three stages: Mr. Blank’s youth, his growing interest in art cars and his more recent activities. All three films palpably demonstrate the power of traditional storytelling. But there seems to be a push on the local documentary scene for a more innovative approach, like Mr. Bruno’s, as well. As long as the rich filmmaking community and resources continue in the Bay Area — and as long as the documentarians put their narratives front and center — the combination of experimental and trusted approaches should further the success. The San Francisco Independent Film Festival runs from Feb. 4 to 18. Information: sfindie.com. Subject: Do You Have a Recently Published Work on California Studies? past six months or so. Now’s the time to change that. should be sent to my private email address by Friday, 12 February. Multicultural Fellowship Program — The San Francisco Foundation. In an area with such a wealth of young talent, it is essential to cultivate the next generation of community leaders to reflect the diversity of our region. In our Multicultural Fellowship Program, we select young professionals of color with the promise and passion to create significant social change. By working in our grantmaking teams and contributing to numerous projects across the Foundation, fellows gain dynamic hands-on leadership experience. Former fellows now serve as executive directors and development directors in nonprofits, as program officers in foundations, as government officials, and as professionals and academics who serve or work with nonprofits. The Fellowship taught me the dynamics within a region or community that have been really helpful when thinking about how you can make change at a national or state policy level. The San Francisco Foundation’s Multicultural Fellowship Program aims to increase diversity in the philanthropic and nonprofit sectors. The Program provides young professionals of color with challenging work experiences and leadership opportunities in the areas of grantmaking and community building. The Fellowship includes an intensive curriculum, individual coaching, mentorship, access to local service sector leaders, and countless opportunities to build a professional network. Photo: The 2008-09 class of Multicultural Fellows are [pictured above, L-R] Grace Ma, Navin Moul, Josaphine Stevenson, Gloria Bruce, Vanessa Camarena-Arredondo, and Nacala Jendayi. We are now accepting applications for the 2010-2012 Fellows in Arts and Culture, Education, and Environment Program areas. Please read the following carefully for complete application information and to learn about the upcoming information sessions. Self-directed, team-oriented, and leadership qualities. Demonstrated interest in fundraising, donor development, and nonprofit or public service. Volunteer and/or work experience in a specific Program area as specified below. Eagerness to learn about the philanthropic sector. Ability to interact effectively with diverse audiences from varying socio-economic backgrounds. Strong oral and written communication skills and analytical skills. Ease in producing high quality work in a high-production, multiple-project environment. Strong computer/software skills, including Windows and Microsoft Word and Excel. Familiarity with Raiser’s Edge a plus. A Master’s degree in a relevant area or equivalent research and analysis experience preferred. A minimum of five years of related work experience is required in addition to the specific requirements for each of the program areas noted here. Arts and Culture Program Fellow Qualifications: Deep knowledge of visual, performing, media, and/or literary arts. A background in the arts and nonprofit experience is important. An understanding of the issues facing arts organizations and individual artists is essential. Education Program Fellow Qualifications: Knowledge of child and youth development issues with an understanding of schools, childcare, or youth-serving programs required. Knowledge of school reform issues is desirable. Background in organizational development, policy analysis, or evaluation is especially welcome. Environment Fellow Qualifications: Education and experience in the area of environmental advocacy, environmentally sustainable economies, environmental health and justice, land-use, smart growth, and policy work. A background in Bay Area environmental justice issues and environmental sustainability is desired. Knowledge of climate change policies and programs will be helpful. Monday, March 22, 2010. Emailed applications must be received by 5:30 p.m. Mailed applications must be postmarked by the deadline date. 3. Responses to the Fellowship Application questions. Download the questions here. Please submit your application only via one method; do not email and mail your application. Every application received will be acknowledged within two business days. Please note, all three application items must be received by the deadline to be considered for an interview. Applicants selected for an interview will be contacted by April 15, 2010. The San Francisco Foundation is holding two Fellowship information sessions at our office, at 225 Bush Street, Suite 500, San Francisco, CA 94104. The information sessions are an opportunity to meet our current Fellows, Program Officers, the Fellowship Coordinator, and other staff, while acquiring additional information about the Fellowship Program. No RSVP required. If you have questions regarding the Fellowship Program or the recruitment process, please contact Jamillah Washington-Weaver at 415.733.8557 or fellowship@sff.org. There is growing recognition that leadership within the fields of philanthropy and the nonprofit sector are not reflective of the racial/ethnic diversity of the nation as a whole. The 2009 cohort of The San Francisco Foundation Multicultural Fellows drafted a paper, entitled “Multicultural Fellowships: A Model to Strengthen and Support Emerging Leaders of Color,” detailing how the Fellowship can be used as a program model to encourage the development of leaders of color in nonprofit, governmental, and philanthropic sectors. The San Francisco Foundation’s commitment to supporting emerging leaders of color, as well as the longevity and success of the Fellowship Program, puts the fellows in a unique position to share our experience and offer recommendations on how similar fellowship programs could be developed in other sectors and foundations. The paper includes reflections from former and current fellows and is specifically focused upon the impact that the Fellowship Program has had on our careers and capacity as leaders. Click here to download a PDF of this paper. In July 2009, Rockefeller Philanthropy Advisors released its report entitled “Diversity in Action: Strategies with Impact.” This report highlights ideas, approaches, and programs from CEOs and trustees of foundations who have implemented solutions to ensure greater reach into diverse communities, including The San Francisco Foundation’s Multicultural Fellowship Program. With an aim to promote best practices, leaders share perspectives on both the rationale and the methods of their diversity strategies. Click here to download a PDF (1.7 MB) of this report. Before joining The San Francisco Foundation, Navin was a graduate student at the University of California, Berkeley in the Ethnic Studies Department. Her doctoral research looked at citizenship and belonging using the deportation of Cambodians living in the United States as a case study for understanding incorporation and identity. As a Fulbright Fellow, she lived and conducted field research in Cambodia, interviewing “returnees” who were forcibly removed from the U.S.. While in Cambodia, she also worked as the program director for Global Youth Connect, an organization that works to build and support a community of youth who are actively promoting and protecting human rights, and to educate and inspire the next generation to work for peaceful change. Prior to graduate school, Navin taught first grade at Spruce Primary in Washington State. She holds a Master’s degree in Ethnic Studies from University of California Berkeley and a Bachelor of Arts in American cultural studies from Western Washington University. Before transitioning into the fellowship, she was a program assistant in Education and Community Development at the San Francisco Foundation. Prior to this, she was the program coordinator at the Latina Breast Cancer Agency. Additionally, Vanessa worked with the California Faculty Association at her university in a collective effort to address state budget cuts. She worked for two years with Self Help Graphic Gallery and Print Shop on the Day of the Dead celebration and Deaf Children’s Arts Festival. Vanessa also interned with the Mark Taper Forum’s Latino Theater Initiative, and was a youth program coordinator at Bienestar, an HIV education and service center serving the Latino community. Vanessa sings with Las Bomberas de la Bahia and is a student at Los Cenzontles Mexican Cultural Arts Center. She holds a Bachelor of Arts in Latin American studies from California State University, Los Angeles. This announcement comes to us from Ethan Rarick, Director of the Robert T. Matsui Center for Politics and Public Service, Institute of Governmental Studies, UC Berkeley. The Berkeley Public Policy Press has just published The People’s University: A History of the California State University, by Donald R. Gerth, former president of the CSU campuses in Dominguez Hills and Sacramento. The first comprehensive history of the CSU system, The People’s University chronicles the growth of the CSU system from a single institution in San Francisco in the years after the Gold Rush to today’s 23-campus system enrolling more than 450,000 students. The People’s University addresses the many facets of a set of comprehensive universities, institutions that share an overarching mission and yet vary widely in the programs offered, from the technological emphases of two polytechnic campuses to agricultural programs at a campus in the heart of the San Joaquin Valley, to a campus in the state capital with first-rate public policy and government programs. More information, including how to order, is here and here. The CSA announces its 2010 conference. Details are forthcoming and will be announced on our website and here on the blog. Historically, California has embodied boundless possibility. Though its history is riddled with the contradictions and limits of such imaginings, the state’s unique culture and institutions are nevertheless a testament to California’s promise, and the millions who acted on this promise produced a diverse, original, productive, and powerful society. Yet for all its natural, human, and economic resources, California faces an idiosyncratic and outsized version of the challenges facing other states: deteriorating infrastructure, a starved education system, looming environmental catastrophe, an unsustainable prison system, and escalating unemployment. Framing it all is a seemingly intractable condition of political gridlock.